Rich Kendrick serves as a Senior Managing Director and the Co-Head of Equities. In this capacity, Mr. Kendrick is responsible for the Equity, Debt, and Private Placement platforms. Mr. Kendrick also serves on the Board of Directors for Stifel, Nicolaus & Company, Incorporated, is also an employee of Keefe, Bruyette & Woods, a Stifel Company, is President and a member of the Board of Directors of The Bond Club of New York, is a member of the Board of Directors of the Syndicate Association of Americas, and is a current member of the Board of Directors for the Cystic Fibrosis Foundation, Maryland Chapter. 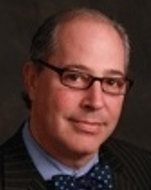 Prior to joining Stifel in 1999, Mr. Kendrick was the Executive Vice President and Managing Director running Capital Markets at EVEREN Securities, Inc. Mr. Kendrick's experience includes eight years as a Managing Director of syndication and origination at Donaldson, Lufkin & Jenrette, as well as six years at L.F. Rothschild, Unterberg, Tobin Inc. in the same position. Previously, Mr. Kendrick was the Executive Vice President and Managing Director of the high-grade Capital Markets and Mortgage Finance departments, at First Union Capital Markets Corp. (Wells Fargo). Mr. Kendrick received his B.A. in Economics from Denison University.